When you need Missoula residential plumbing services, you can’t just pick a name from a list. You’re entrusting your home and family’s hygiene to someone you’ve never met. Do you know how to find a clean and considerate plumber you can trust? Hiring a plumber to service your house is a big deal. It goes beyond industry expertise and abilities. You are bringing a stranger into your home environment to work on the very source that provides water to your family. Naturally, you want to hire a plumber who works for a reputable company that’s known for doing good work… but how will you know if the person who shows up at your door will be clean and considerate? A plumbing job can take hours to complete. If you’re home with the kids, it’s important that you feel comfortable with the person going in and out of your door. Is he going to be considerate and polite to you and your kids? Will he be patient and gracious if you need to use the bathroom or go through the kitchen at some point? Is he going to be dressed in clearly labeled clothing and driving a branded work vehicle so you know without a doubt that he’s the one you called? You should keep these things in mind while looking to hire a new Missoula residential plumbing professional. Not all Missoula residential plumbing companies are alike. Not all Missoula residential plumbing technicians are alike. At Garden City Plumbing & Heating, technicians are hired for their values as well as their credentials. Whether you’re counting on Garden City’s plumbers or you’re hiring another Missoula residential plumbing company, there are some things you should look for before and during your service appointment. You should have a clear understanding of what the technician will be doing and how long it’s expected to take. They should ask if you have any dogs or other pets to be aware of, and if there are special parking requirements to know about. You should know what time your Missoula residential plumbing technician will arrive. It’s not appropriate to expect a customer to wait around all day for a plumber to show up. The company should set a specific time, or a give you a 2-3 hour range at the most. Your plumber should call when he’s ready to drive to your house, as a courteous reminder. He should also be driving a work vehicle labeled with the company name, and wearing branded apparel so you know without a doubt that you’re inviting the right person into your home. Missoula residential plumbing professionals must never expose your family to bacteria or dirt. Garden City plumbers wear shoe coverings at all times while inside of your house. They are cautious not to drag dirt into your home while going back and forth to the work vehicle. The plumbing equipment and surrounding areas should also be thoroughly cleaned and disinfected once the work is done. All home service professionals, including Missoula residential plumbing techs, should be courteous and well mannered while working in a home. It’s not appropriate for a professional technician to use foul language or talk loudly around a customer and their family. If the technician needs to make a phone call, he should do so quietly or relocate to his work vehicle. He should show grace and a calm temperament, even if he’s struggling with the plumbing job. The technician should take time to explain what he did so far, what he’s going to do, and explain if he needs to leave and return later to finish the job. He should give fair warning if the water will be turned off, or if you won’t be able to access the bathroom for a time. Keeping the customer fully aware is key to making sure there will be no inconvenient surprises. It’s important to find a plumber and/or plumbing company that you will feel comfortable having in your home and around your family. That’s why customer loyalty speaks volumes about the home service companies in Missoula Montana. Ask a local friend for a referral and look online for reviews and Missoula residential plumbing company BBB ratings. 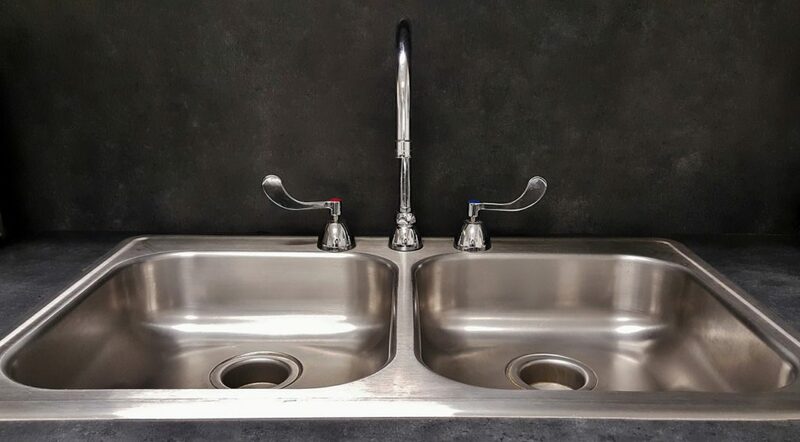 When you find a plumber who’s clean and considerate and one who does excellent work, you’ll want to keep that number on hand for all of your future plumbing needs!